Perhaps a question like...what is that thing? (By the way, it's a dragon the Livie made for Chinese New Year at her school) Or it could be many questions, like for the kids' yearly questionnaire, which we completed last week. For the most part, I feel I could answer the questionnaires before they do (Newlywed Game style) and get most of our answers to match. But often they surprise me, or at least make me laugh, with their answers and it has been fun to go back and look at their past answers too. I found one set of questions super interesting this year though. We always ask them to tell something they love about each person in their family. Clearly we have pretty defined roles with the big kids and honestly, it is what I'd expect them to say. However, after looking at Olivia's responses, I found it curious how different their experiences with us are and I think I know why that is. When Liv was born, Jack was in half-day kindergarten and EJ was two. I stuck towards home with my new baby, where I could have some control of the situation, and so we made lots of crafts to fill our days. As Liv has grown, she's been the one who runs errands with me and gets to do the fun outings, while the big kids are in school (or morning summer school). 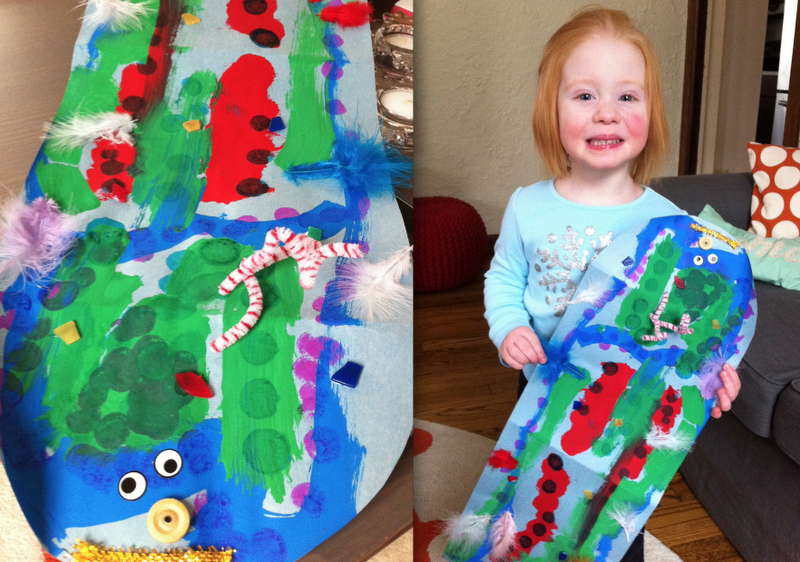 Again, the big kids are doing projects with me during naptime or in the evenings at home. I know it's just the way it goes, but I find it very interesting how I'm the same mom, but seen two very different ways. 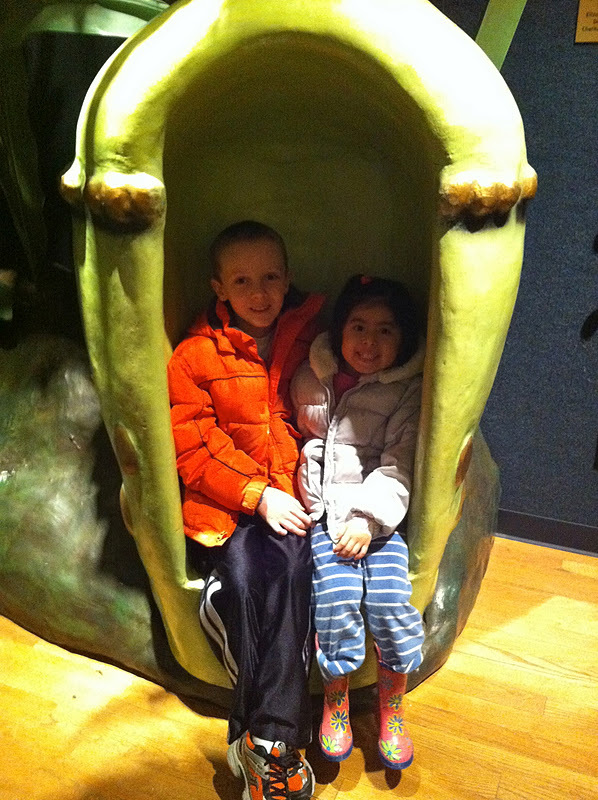 So yesterday, while Livie was making that dragon, Jack & EJ & I headed to the museum (they had the day off of school). 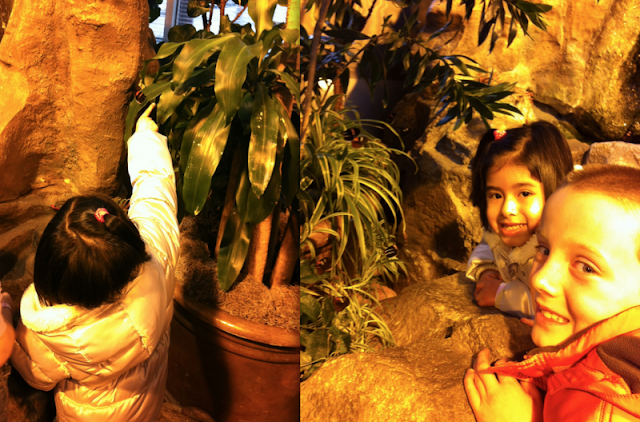 It was an extremely quick trip, but they had a great time visiting the dinosaurs and the butterflies. And I had a great time making a memory with them "going somewhere" ... finally! Yay for "out and about" time with Jack & EJ. There's always some type of fun going on with you! that dragon is impressive. i haven't been to the museum in awhile. i'm surprised the dinos weren't too scary for EJ. Nice you could go somewhere to make memories!